or contact the instructor for the course. United States Power Squadrons® also offers several on-line courses which are available to all. NOW ONLINE OR IN A CLASSROOM! Learn the fundamentals of safe boating in a 1-day classroom course OR take the online class. 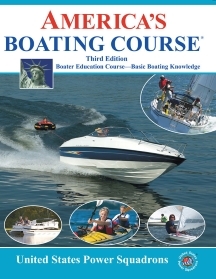 (Formerly Seamanship) Practical boat-handling instruction beyond the introductory America's Boating Course®. (Formerly Piloting) The Marine Navigation course is the first in the sequence of courses covering the basics of coastal and inland navigation. (Formerly Advanced Piloting) Position by bearing, soundings, and angles; tides and currents; speed-time-distance accuracy; and much more. (Formerly Junior Navigation) Using a sextant, a watch and a Nautical Almanac, determine your location (Latitude & Longitude) on Earth using the Sun. (Formerly Navigation) Extend your knowledge of celestial navigation; astronomical phenomena; mathematical principals; practical applications. 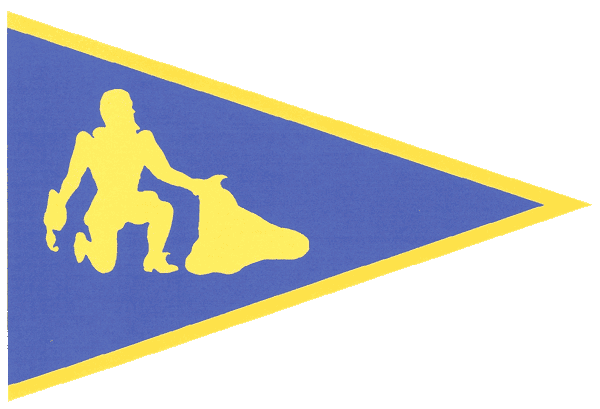 The original "Marine Electronics" is currently two separate courses, Marine Electrical Systems (MES, this course) and Marine Communications Systems (MCS). Marine Electronics is currently two separate courses, Marine Communications Systems (MCS, this course) and Marine Electrical Systems (MES). This course teaches the principles of gas (inboard & outboard) and diesel engines and the cooling, lubrication, ignition, and fuel systems. Where to go, what to see; what to take (and not take); all the details that need to be planned before you go. Handling, anchoring, mooring, docking, stability, true and apparent wind, rigs and hulls, sailing theory, laying up and fitting out. Weather - Online Classes available from USPS and the University of West Fla. Learn to read a weather map and the sky; interpret cloud formations and sequences. Two online course options are available. This course informs you about all aspects of USPS.It will help you understand why it takes so many people to keep the squadron running. If you have enjoyed learning boating skills from USPS, please consider joining our instructional team by taking the ID course which leads to USPS certification so that you can help teach our courses.